Staying up to date with the latest changes is valuable, even vital, for many. Finance professionals need to safeguard their future careers by keeping an eye on new developments and adding to their skills as appropriate. Investors can maximise their efforts and avoid being left behind. There are a number of respected sources of financial sector news online and in print. Major national and international newspapers have financial coverage of domestic and overseas financial sector developments. The Guardian, the BBC and the Times offer high-quality coverage in the UK. The New York Times and the Wall Street Journal fill a similar function in the US, while other significant international outlets include China Daily, the Times of India and the Asahi Shimbun. 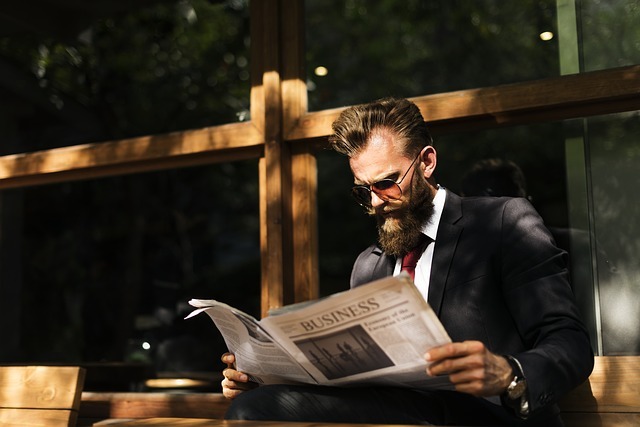 Magazines – particularly dedicated finance and business coverage magazines – provide another quality source of information about new developments in the financial sector, generally with greater detail than most newspapers can offer. Leading magazines include the Economist, Bloomberg Businessweek, Entrepreneur, Forbes, Fortune, the New Yorker and Fast Company. Subscriptions to print magazines are, necessarily, dated. They’ll keep you up to date with new developments over the last quarter or so, including the leading technologies, and with greater detail than most other sources, but they’re curated, filtered and hardly of the moment. Online coverage can offer faster coverage of emerging trends and technologies. Social media platforms, particularly Twitter, further accelerate the immediacy of access to information. This is excellent for collecting diverse, emerging data and a wide overview of the direction of the industry as a whole. You can follow a combination of direct news sources, influencers, innovators and curators. The LSBF Twitter account falls under the category of curator, collecting news of note for those interested in following business and finance developments. However, news coverage and online feeds tend to offer surface coverage catering either to a casual reader with very little technical knowledge, or to industry insiders with extensive knowledge of finance. If you’d like to move toward greater understanding of the finance sector and the new developments within it, then you may need a more guided learning experience. The LSBF focuses on flexible, practical and valuable training in multiple business and finance specialties. You don’t need to complete a full degree programme to grow your understanding. If you’re looking for a way to become more competitive, stay up to date with the latest changes in the financial sector, and increase your employability and financial success, then you may want to invest in some strategic finance education with an institution that offers flexible, future-focused learning. Building a Twitter feed weighted toward reputable finance news coverage, and subscribing to a few national and international news sources, is another approach to keeping up with the changes if you already have a solid foundational understanding of the finance sector.